Pitsco Video Gallery | Watch. Learn. Do. Are you looking to ramp up your next competition or classroom build? In this RoboByte, learn more about our most powerful DC motor yet. Hear from expert Tim Lankford as he talks about the common purpose/use(s), innovative use(s), and things to watch for about this specific part. And, if you're a FIRST® Tech Challenge team, TorqueNADO is a can't miss item for your best season ever. 2018-2019 FIRST Tech Challenge is here! And, we've got inspiration and tips from our TETRIX® R&D team to help you cause a ruckus this season. In this segment, TETRIX Creator, Paul Uttley, Robotics Applications Specialist Tim Lankford, and Educational Services Manager Aubrey Vance are talking all about the basics of the game. Plus, we've got some suggestions and considerations for the robot's chassis and navigating the challenge course. Remember, these are not solutions, just ideas to get your FTC team thinking about how to tackle this season's tasks. TETRIX® R&D team is back again in Part II of our 2018-2019 FIRST Tech Challenge inspiration series. In this segment, TETRIX Creator, Paul Uttley, Robotics Applications Specialist Tim Lankford, and Educational Services Manager Aubrey Vance are sharing ideas for how to collect scoring elements and deliver them in order to earn points. Remember, these are not solutions just ideas to get your FTC team thinking about how to tackle this season's tasks. Need a strong connection between your TETRIX® PRIME elements? The 60-degree, 90-degree, and 120-degree gussets work with TETRIX MAX and TETRIX PRIME systems and give you great versatility in creating you connection points on your robot. This RoboByte will cover their common use, some ideas for atypical uses, and a few things to watch for in your builds. Need to mount your motor but needing a bit of versatility in your positioning? The TETRIX® MAX DC Motor Mount, sometimes called our two-piece motor mount, can help you do just that. Integrating this mount into your build is easier than ever because the mount can be used between two structural elements or used a structural element itself. This added versatility means you can place motors between or alongside channels as well as on top of them. Learn more than just the common uses, including a few things to watch for when using this mount in this RoboByte. Nobody has time for a dead battery. So, building a better bot means better battery management. 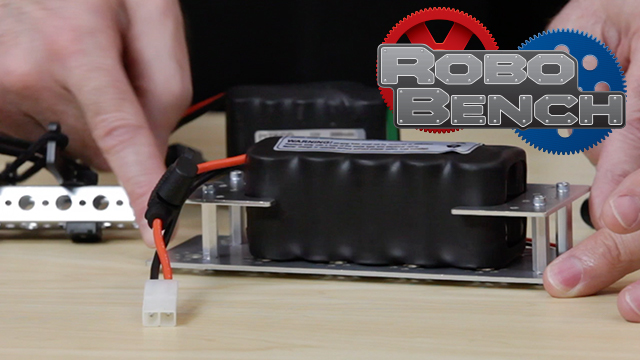 Experts Paul and Tim give you some quick maintenance tips on how to get the most out of your robot batteries in this RoboBench. Plus, we'll talk about mounting them safely and securely too. Attach wheels and gears to servo motors with precision. The TETRIX 6mm steel axles come in three lengths: 40mm, 80mm, and 100mm. If you're a TETRIX MAX user, the new 100mm length is a big win for your builds. In this RoboByte, get a quick look at using these axles and a few can't miss troubleshooting notes. In this RoboByte, we're talking about the TETRIX® MAX Worm Gear Box. 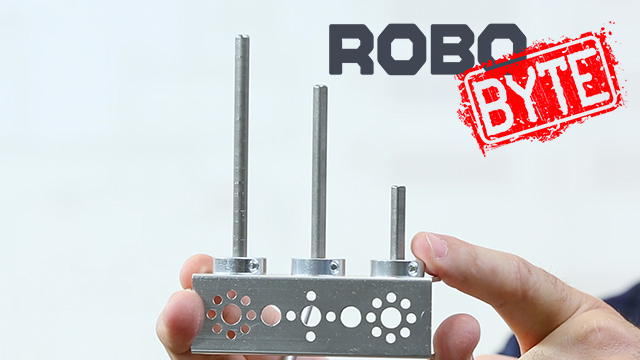 The Worm Gear Box brings durability and power through specialization to your robot. Utilizing a 4:1 gear ratio for slow and smooth rotational motion, this gear box minimizes backlash and greatly reduces the chance of a back-driving gear motor. It's an efficient way to protect the motor and hold a position can be held even when power is not applied. All-metal construction for durability and power. Power is paramount in any robotics competition, especially in FIRST® Tech Challenge. And, TETRIX® MAX TorqueNADO's rpm and torque is the answer for more power. 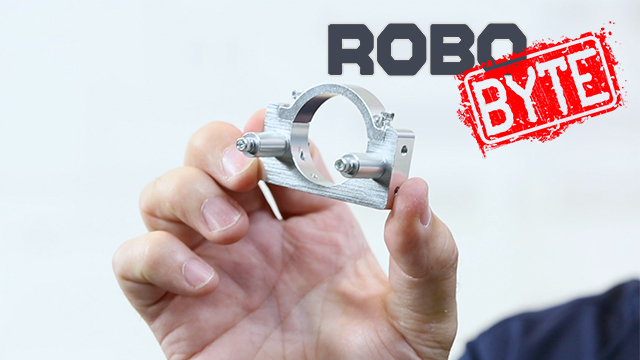 In this RoboByte, Tim shows you how with one quick step, you can connect directly connect the TorqueNADO® motor to the FIRST®-approved control hub. The FIRST Expansion Hub Cable Conversion Pack is a MUST-HAVE for your season. The End Game is here. The TETRIX® R&D team is digging into the final portion of the challenge where you can score big with some serious lunar lander hang time. Here's Part III of our 2018-2019 FIRST Tech Challenge inspiration series. TETRIX Creator, Paul Uttley, Robotics Applications Specialist Tim Lankford, and Educational Services Manager Aubrey Vance are sharing ideas for how to finish strong. Remember, these are not solutions just ideas to get your FTC team thinking about how to tackle this season's tasks. TETRIX® MAX Channels, made of heavy-duty aluminum, are the foundation of the TETRIX MAX building system. 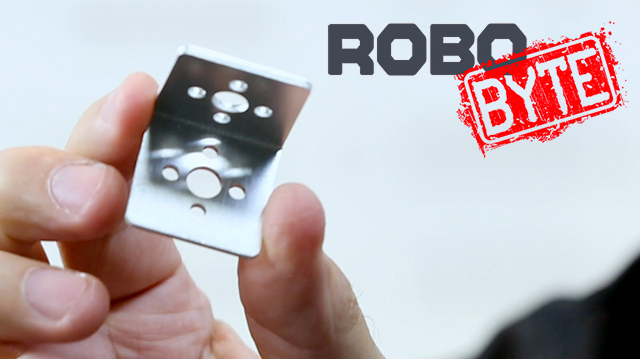 They're perfect for creating sturdy and strong structural bases for any robot. In this RoboByte, Tim talks about the five lengths of channel available, the flexibility the different sizes provide, as well as the tolerance our hole pattern offers. Channels are integral to your next competition or classroom bot. The TETRIX® MAX system is designed to give you optimum building options. Structure pieces like the Inside Corner Bracket help make that happen. This two-sided bracket makes it easy to create connection points on the outside of TETRIX channels. 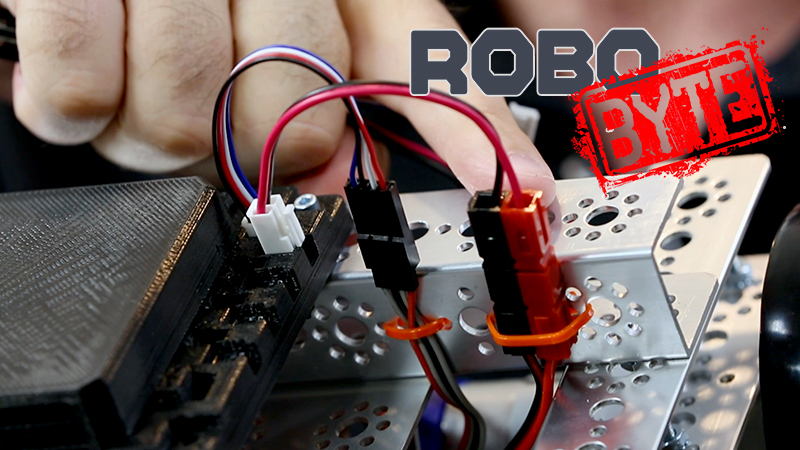 In this RoboByte, Tim tells us a bit more about the part and how you can use this element in your next build.